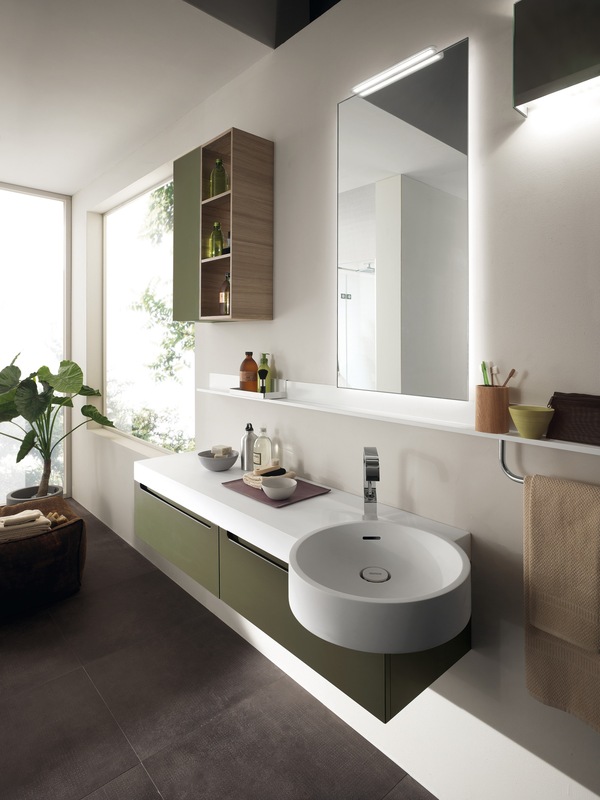 Scavolini Bathrooms is a line of products in which the bathroom is the protagonist of a project created by the Italian point of reference for the kitchen sector. A brand extension – launched in 2012 – that demonstrates the great force of the brand and its constant commitment to support and promote Made in Italy. With this project, Scavolini takes on a new role, offering consumers its heritage of authoritative excellence and design know-how, interpreted for the bath environment. The brand’s imprinting – based on functional values like quality, wide production range, style and design at affordable prices, and intangible values like the concept of Made in Italy and environmental sustainability – ensures total reliability for a company with over 50 years of experience, always with an accent on quality and service. 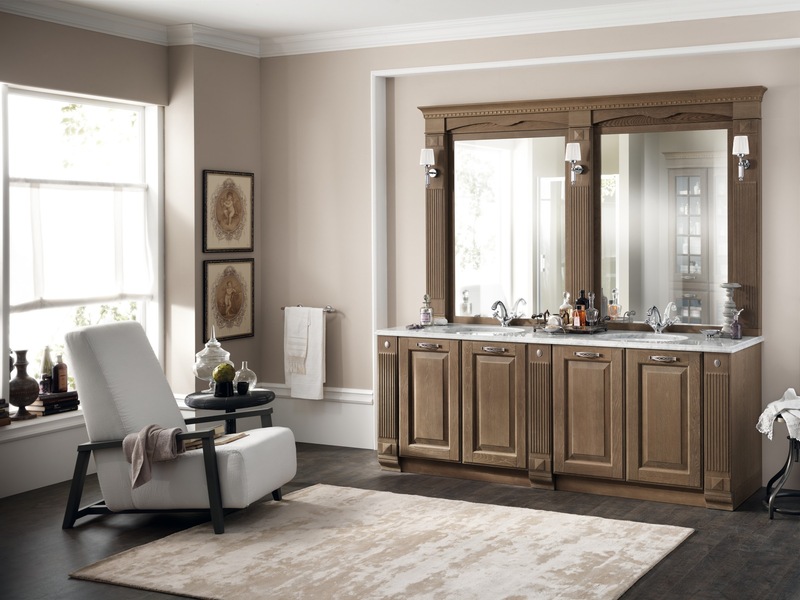 The decision to open to the world of bathroom furnishings was made to respond to a precise need of the market, mainly in foreign distribution and for contractors who had been inquiring for some time about the supply of custom solutions for the bath space. 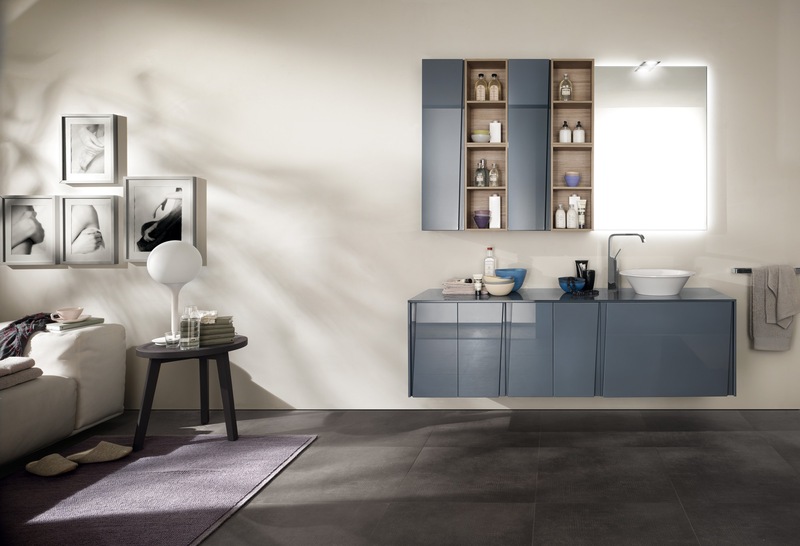 Solutions that guarantee continuity with the other spaces of the home, in keeping with the latest décor trends, without overlooking the high level of service only a company like Scavolini can offer. 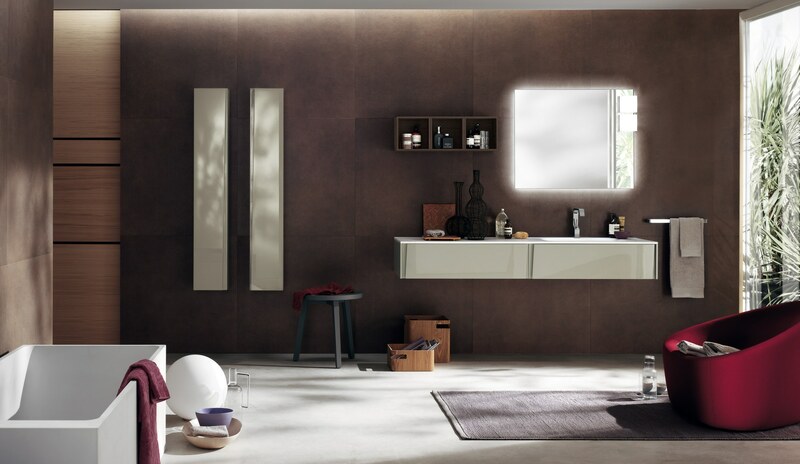 Scavolini Bathrooms is a program of complete settings, extremely varied in its composition, based on the most contemporary orientations of lifestyle and wellness. 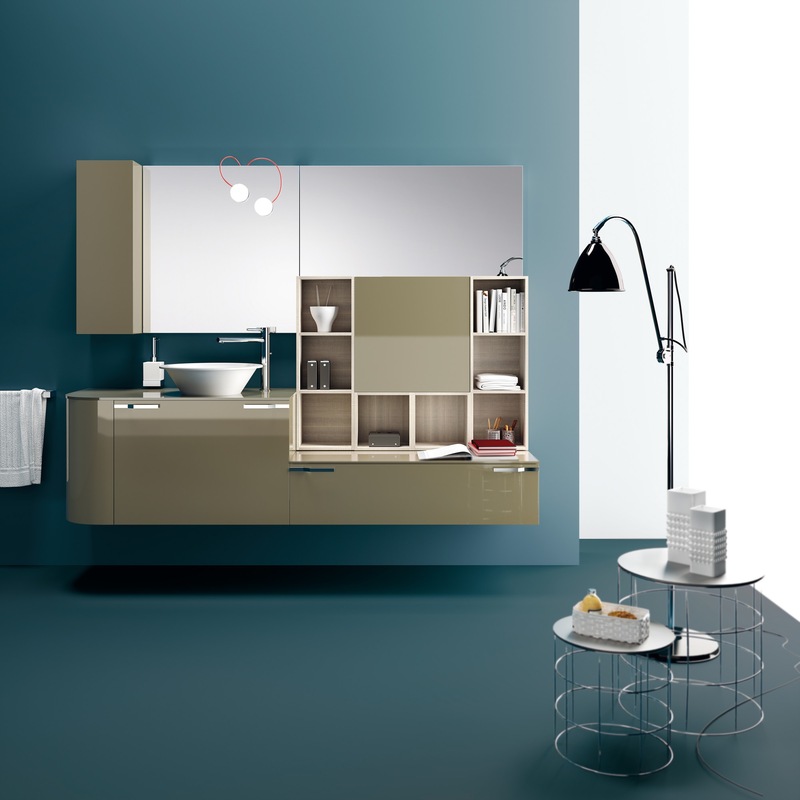 From a stylistic viewpoint, the program reflects the great breadth of range and personalization of the company’s kitchen collections: cabinets with extractable drawers and baskets, hanging cabinets and horizontal and vertical wardrobes, open compartments with different depths. 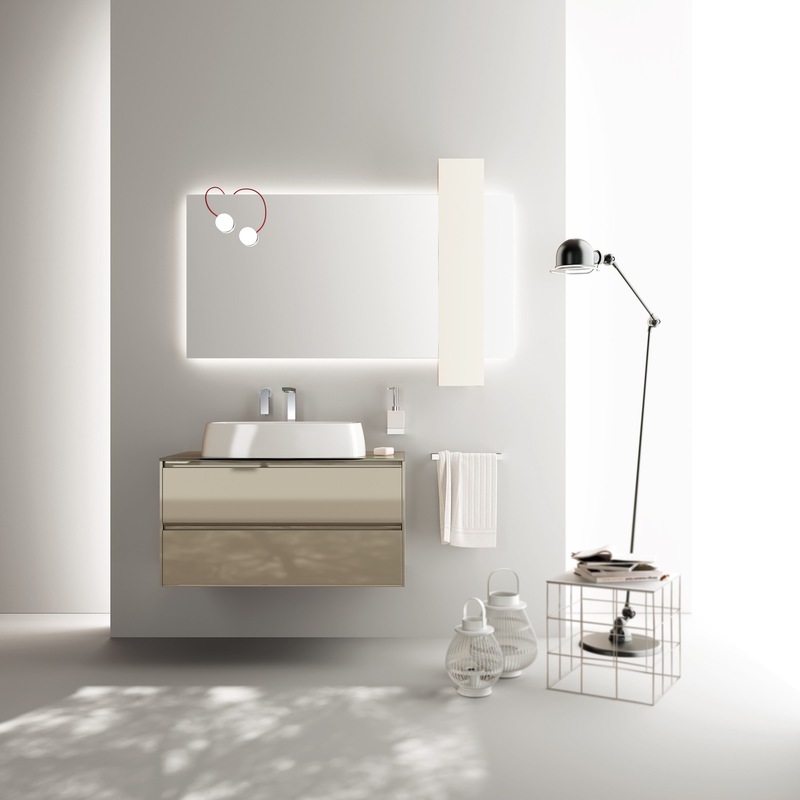 8 complete collections for a total of over 25 washstands with exclusive design, built into counters and available in Cristalplant, mineralmarmo, glass, stone or ceramics; suspended or floor-mounted fixtures, faucets, shower stalls, bathtubs; but also mirrors and accessories, together with a line of 30 lighting systems. 150 possible finishes, for a total of over 1500 articles. Everything has been designed to create a coordinated environment, to respond to all functional, aesthetic and emotional needs. 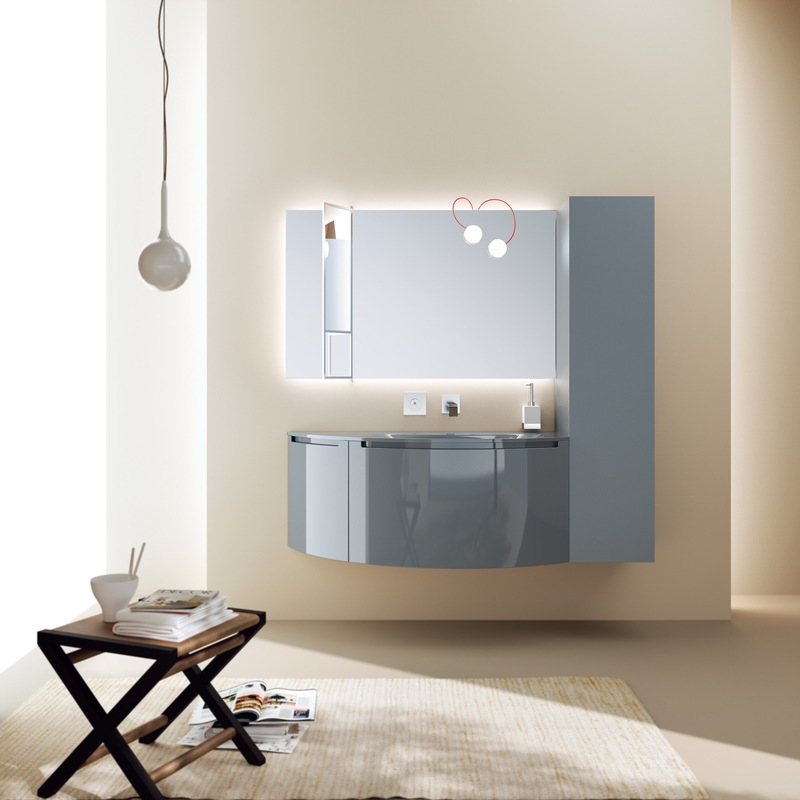 Magnifica, a new entry for 2015, offers a surprisingly rich range of solutions and details. The leitmotif of the project by Gianni Pareschi is a language based on contaminations for an exclusive look, where the classic is transformed into a contemporary style of great character, and where the different use and combination of the materials leads to very versatile aesthetic results. The latest offerings also include Baltimora, marked by a refined atmosphere and a clear taste for decoration. In tune with the style of the kitchen program of the same name. Habi, Rivo, Lagu, Idro, Aquo and Font, the first six collections of furnishings created by Studio Castiglia Associati, are differentiated by the type of openings of the doors: one with handles (in three versions) and also available with a curved panel for a more traditional look, three with different groove grips (horizontal, vertical, inserted), one with a frameless glass door, and a “top” collection featuring exclusive elements with extremely sophisticated, original volumes. The common denominator is extensive modularity, with many different finishes and colors and meticulous attention to detail. 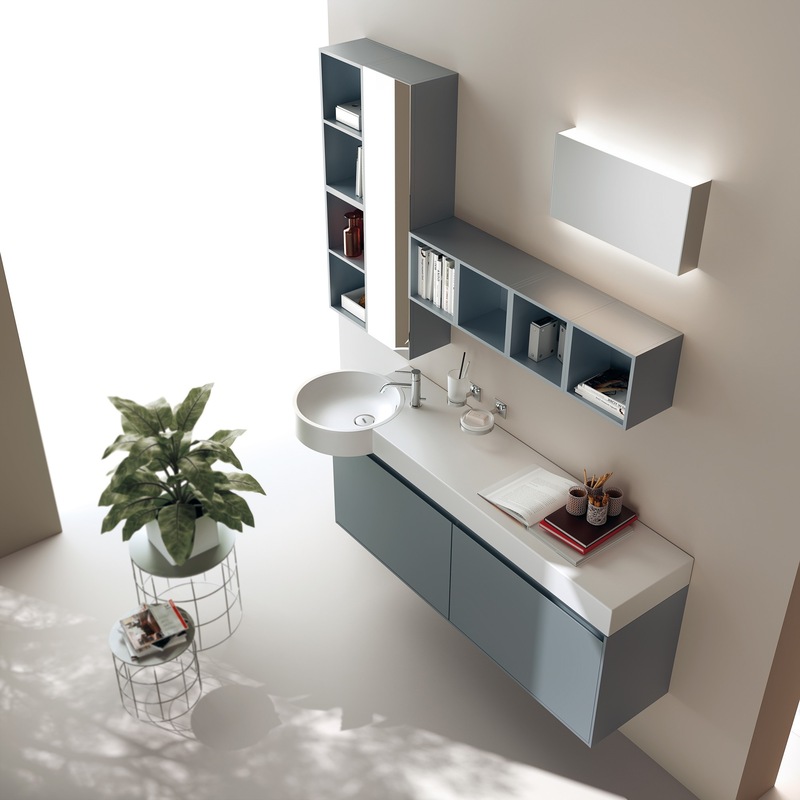 For maximum stylistic and functional personalization, the line also includes many accessories: from internal wooden dividers for drawers and extractable baskets, to those positioned on tops or walls, in different versions, forms and sizes. The concept of service is interpreted in terms of the design phase, assembly and installation, and post-sales assistance, making it another plus offered by the new program. 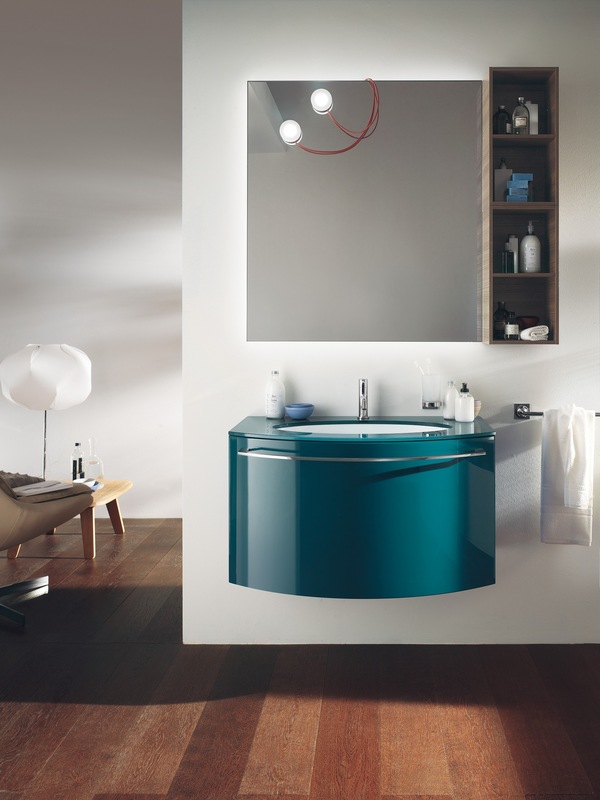 The bathroom collections are sold through the national and international network of Scavolini, with over 1000 points of sale in Italy and over 300 all over the world. 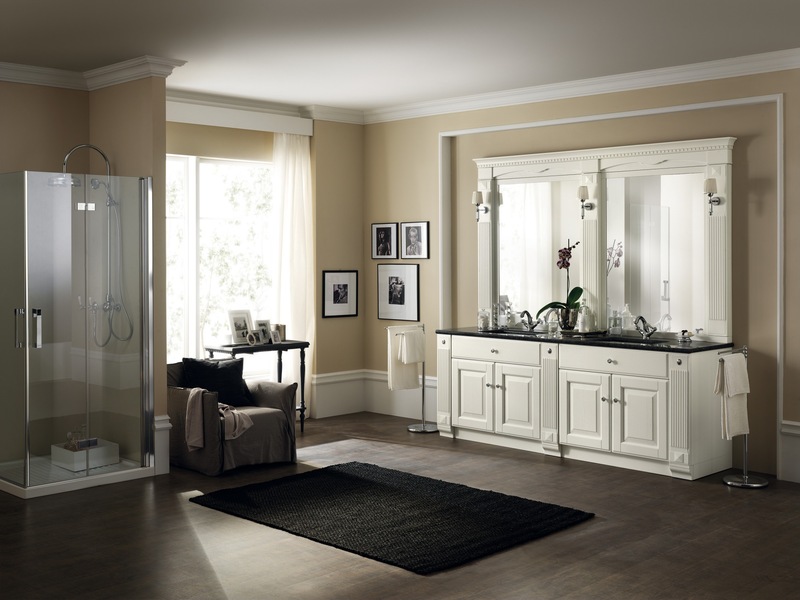 Bathroom composition made with the Baltimora collection, marked by refined atmosphere and a clear taste for decoration. 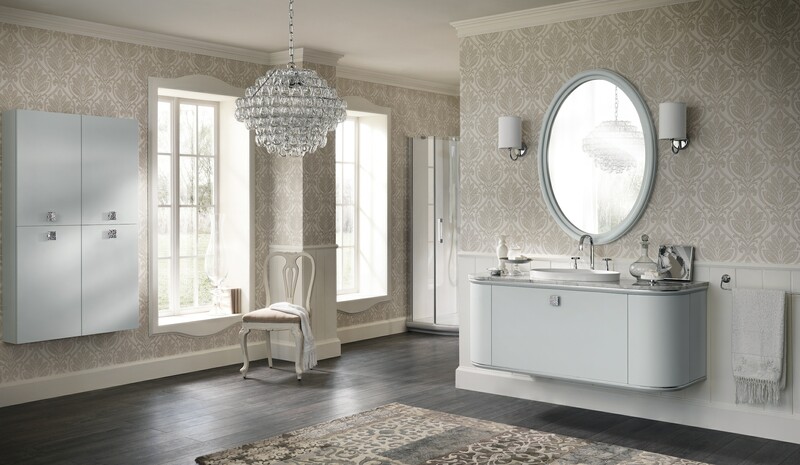 The Baltimora bath line, in tune with the style of the kitchen program of the same name – one of the historic and most successful creations of Scavolini – reinterprets classical architectural style in a contemporary way. The Font collection, designed by Studio Castiglia Associati. The Habi collection, created by Studio Castiglia Associati. The Aquo collection by Studio Castiglia Associati. The Idro collection designed by Studio Castiglia Associati. The Lagu collection by Studio Castiglia Associati. The Rivo collection, designed by Studio Castiglia Associati. 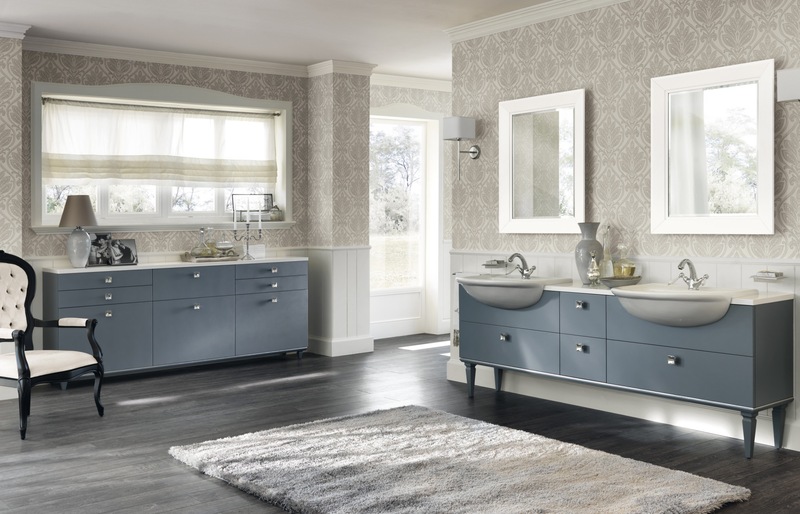 The Magnifica collection, a new entry for 2015, offers a surprisingly rich range of solutions and details. The leitmotif of the project by Gianni Pareschi. 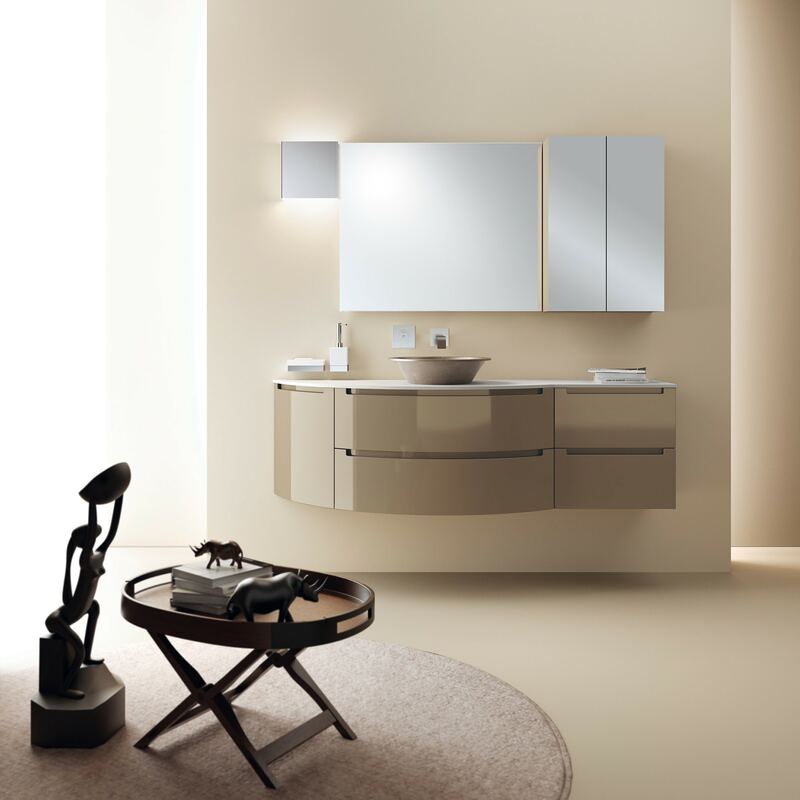 The Magnifica collection designed by Gianni Pareschi has a language based on contaminations for an exclusive offering, where the classical is transformed into a contemporary style of great character, and the different use and combination of materials leads to a wide range of versatile aesthetic results.